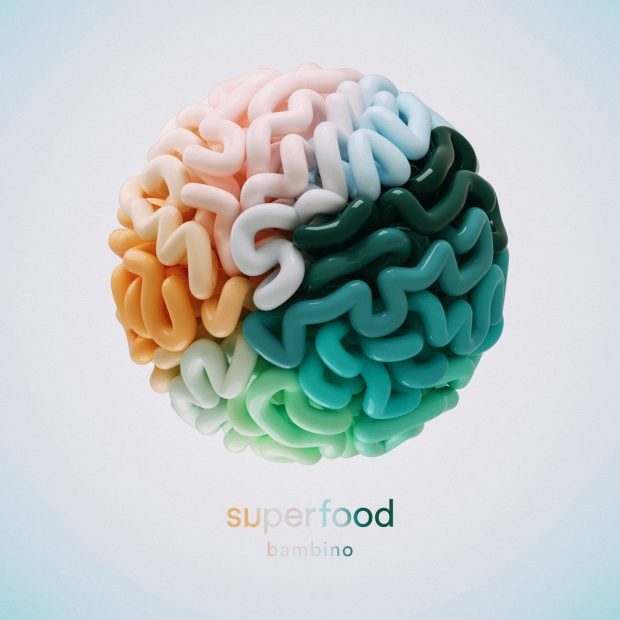 Summary: Birmingham's Superfood are set to release 'Bambino' - an album full of melody and elegaic pop to please the ears. Birmingham’s Superfood have returned with their sophomore album ‘Bambino’. This time around they bring along a slim lined lineup and even more groove-laden indie pop than their debut ‘Don’t Say That’ released in 2014. Having emerged on to the scene around the same time as the likes of; Jaws, Swim Deep and Peace, it always felt like Superfood were the underdogs. However, three years later, Superfood are finally unleashing their second album upon us and are brimming with a new found confidence that their contemporaries haven’t come across. ‘Bambino’ sees the now core duo of front man Dom Ganderton and guitarist Ryan Malcolm present a collection of songs that they can be incredibly proud of. The album is full of summery goodness and happy vibes. It holds a hint of their debut cheekiness, yet carves out a path of its own which will help them stand out from the competition. Opening track ‘Where’s The Bass Amp?’ is bathed in an old skool early 90’s vibe. Confident vocals and a breezy groove set out the tone of the record brilliantly. Superfood gained a reputation for being a fuzzy guitar pop band, but whilst the guitars are still there, they are no longer as prominent. Lead single ‘Double Dutch’ was highly praised by critics and gained airplay across many radio stations over the UK. But the buck will not stop there. There is so much love and fun on this album it is hard to summarise it all in one go. ‘Natural Supersoul’ contains another 90’s influenced groove and sounds amazingly summery on those cold and rainy autumn days. ‘Need A Little Spider’ ramps up the electric guitars and is the track that links the old band with the newer version. ‘Raindance’ is soulful and has a grungy-baggy sound to it. Imagine Ian Brown’s groovy and hushed vocal cover of Michael Jackson’s ‘Billie Jean’ and you get the vibe. There are three instrumentals on the record; ‘Wibble Mtn’ and ‘Lov’ are more of the fun, experimental type, and the latter containing sampled vocals running through. ‘C is for Colour’ is the highlight of the three and breathes heavily on an almost Underworld dance vibe. ‘Shadow’ could easily have been a single from the early 2000’s and the chorus could have been written by Hard-fi. Catchy, elegiac and fun. ‘Unstoppable’ is another highlight with its sixties meets Gorillaz undertones. This album simply breathes brilliance. ‘Witness’ again hints back to the vibes of ‘Don’t Say That’, but keeps the happy go lucky vibe of the new era. Final track on the record, ‘Clo Park’ finishes the album off exactly how it started. Containing vocal samples, a brilliant 80’s/90’s vibe and an almost rap style verse. You have to wonder with an album of this calibre, just how Superfood never made it any bigger, but biding their time has been their greatest asset. ‘Bambino’ is brilliantly experimental, confident and a pure slice of modern perfection.